In most DBA or Database Administration purpose we need to set a Database to readonly mode. 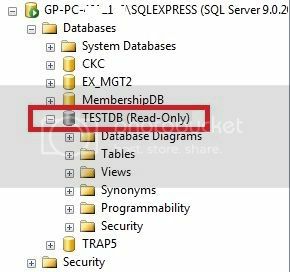 Here i will show you how you can set Database in Read Only mode for Sql server 2005 & Sql Server 2008. One thing keep in mind that you can not use same sql command for both sql server 2005 and 2008. Thats why here i will show the different ways to manage a Database to Read Only mode. 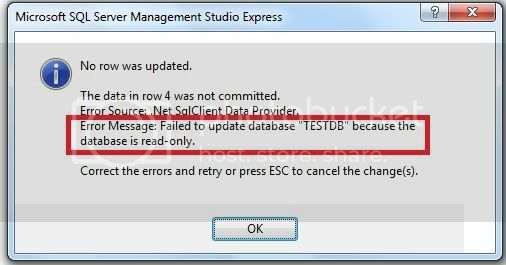 The another important note is you can not make a database read only until you set the Database in single user mode. So first set the database in single user mode. Click here to read how to set Database as single user mode. Error Message: Failed to update database "DataBaseName" because the Databse is read-only. Hope now you can perform DBA role.